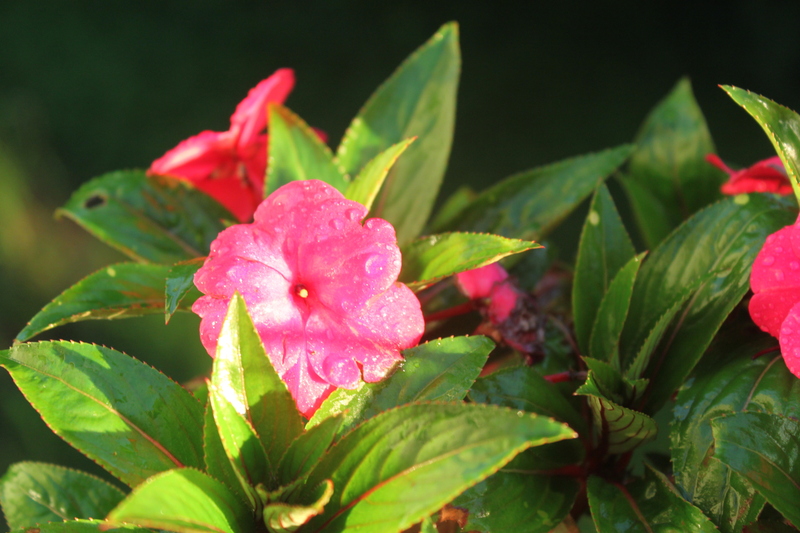 After yesterday’s storms finally tapered off, a bright shaft of sun lit up my back deck, where Jeff had kindly put out some nice geraniums and impatiens. 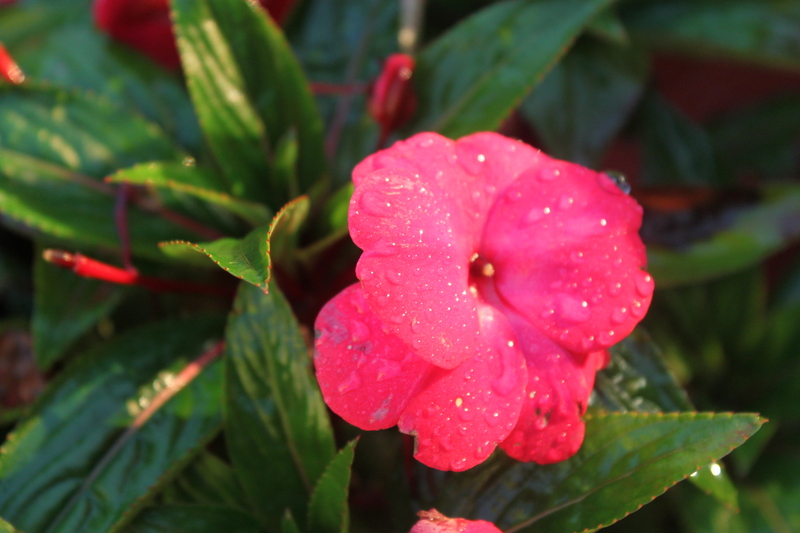 The light of the sun danced on the raindrops resting on the flower petals. Glad I noticed it. 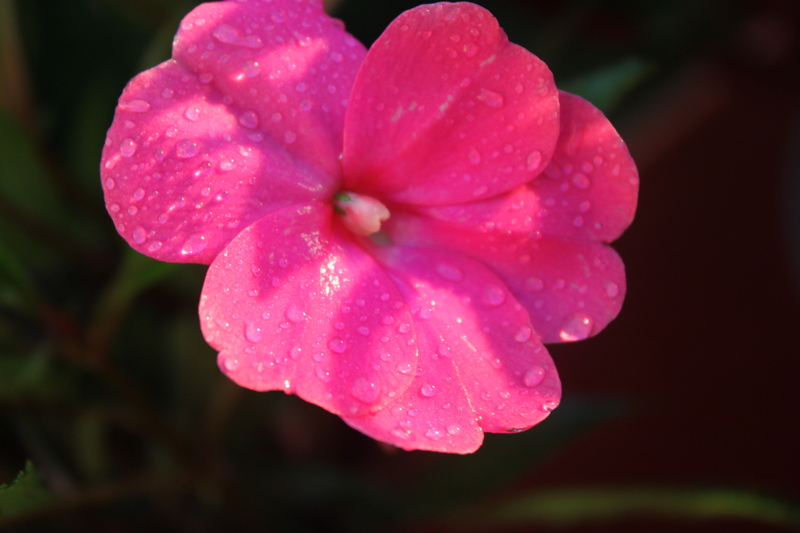 Water droplets sparkle on an impatien flower on my back deck Wednesday evening. This entry was posted on July 22, 2010 at 1:56 pm and is filed under Uncategorized. You can follow any responses to this entry through the RSS 2.0 feed. You can leave a response, or trackback from your own site.